Charlotte Cotton is the curator and head of the Wallis Annenberg Department of Photography at the Los Angeles County Museum of Art (LACMA). 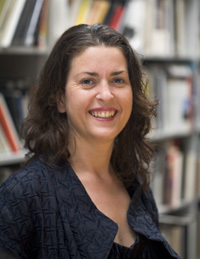 Before joining the museum in 2007, Charlotte was curator of photographs at the Victoria and Albert Museum (1992-2004), the head of programming at The Photographers Gallery (2004-2005) in London. She moved to the US in 2005 and has been visiting professor at Yale University and visiting critic at colleges including Bard, SVA, Cranbrook, Otis, Art Institute Chicago, USC, and UC Riverside. She is the author of Imperfect Beauty (2000), Guy Bourdin (2003), Then Things Went Quiet (2003) and The Photograph as Contemporary Art (2005). She is also the founding editor of wordswithoutpictures.org.